With the Korean War overshadowed by World War II beforehand, and the Vietnam War coming shortly after, many failed to see the Korean War's impact. People were sick of war, and the conflict on the small Asian peninsula faded from public memory. WINONA -- Veterans of the Korean War recognized the 64th anniversary of the armistice that brought about the ceasefire on Thursday. Often cited as the Forgotten War, the conflict still casts a long shadow over current international politics. Winona native Neil Hinkley was among the first to be deployed when war broke out in late June 1950. “We got right in the thick of it right from the start,” Hinkley said. He was among the first three divisions to be deployed at the outbreak of war. 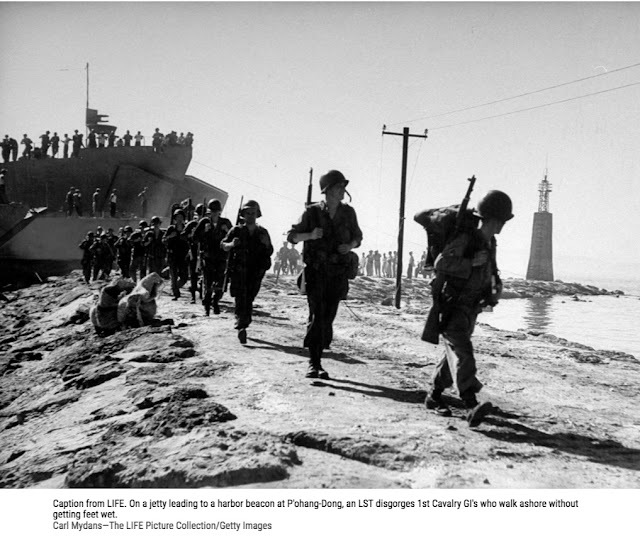 Hinkley’s unit, the 10th Infantry Division, was en route to Japan from Alaska, halfway across the Pacific, when North Korea “started that ruckus” in late June of 1950. The North Korean blitz across the border was supported by the Soviet Union with weaponry and equipment, pushing back United Nations forces into the Busan (pronounced Pusan) Perimeter.